In case you haven’t figured it out by my Lego Minecraft Post, I am a bit of a Lego nerd. I am Zach the Lego Maniac. I am also a fan of the J.R.R Tolkien series, Lord of the Rings. With that in mind, it would come with little surprise to find out that I am truly excited to see the two franchises to come together next year. 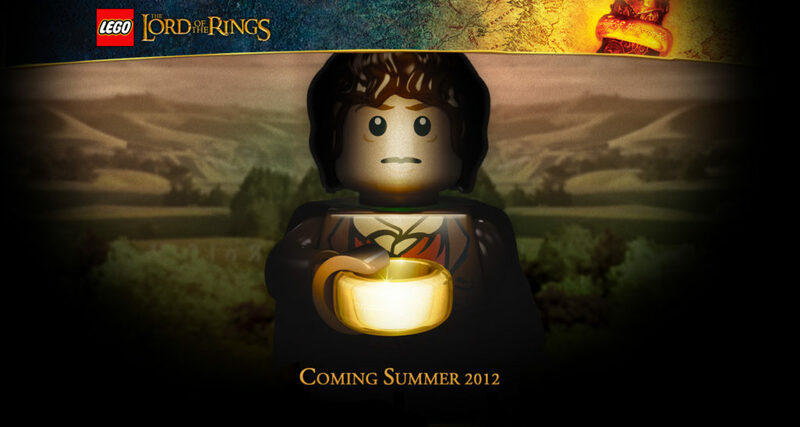 There is little information besides the teaser image above on Lego’s official website. Yet, the anticipation of the sets is not easy to contain. I can’t wait to get my hands on the Helm’s Deep set and a Balrog. Seriously, can you imagine what a Lego Balrog will be like? Lego has some really awesome dragons with the Ninjago. So I can only imagine what a Balrog will look like. Aside from the awesome Legos that will come from this, there is also a possibility of a new Lego game as well. Travelers Tales has been churning out very successful Lego games over the years and after the massive success that was Lego Harry Potter, I can bet they are frantic for yet another popular fantasy franchise. Can’t wait. Lego + Minecraft = Mind Melting Excitement! In what is probably the most awesome combination in all history, we now have Lego Minecraft winding its way through research and development. Seriously, there is not enough awesome to contain this news. Seeing LEGO Minecraft sets is also our dream, so we linked to one of the projects. It’s clear to us that there are many creative people with good ideas for this and we want to throw our own hat into the ring and start this project to bring the best LEGO Minecraft builders together. While Minecraft itself is about as close as possible one can get to a virtual Lego set, the idea of having fully branded Minecraft Legos rocks. It will be interesting to see exactly what sets come out of this. There is plenty of potential. In fact, I would prefer it if it came in a bucket for free form building with a few suggested directions. But either way, I will be all over this. Of course the lack of official Lego sets has not stop numerous creative people from coming up with really great Minecraft themed sets. Here is a collection from Brothers Brick. Seriously, check that out. This guy even gets the underworld and monsters into it.